Based on the title of this page, "Smoking Facts," we don't want people to think we're encouraging smoking. As an electronic cigarette advocate, it's our goal to make sure people are aware of the facts when it comes to smoking traditional tobacco cigarettes. 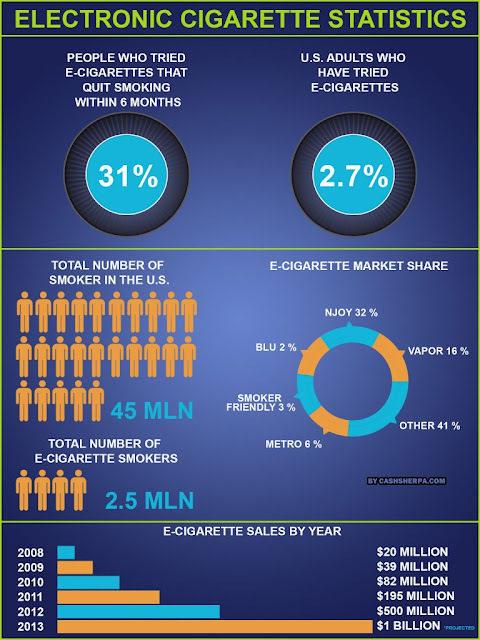 But being an electronic cigarette distributor, the title of the following infographic caught our attention. After all, it contains some very descriptive elements of the effects of cigarette smoke both first and second hand. There's is also some staggering information about the amount of people who die each year from smoking traditional cigarettes. We hope you find this informative! To see this infographic in it's entirety, visit TheMecialCity.com. The word is by 2016, electronic cigarettes as well as products consisting of nicotine will be classified as well as licensed as medication. Under proposals to strengthen regulation, electronic cigarettes are to be categorized as medicines. But, the manufacturers of e-cigs say that they will not accept this classification unless compelled to do so by EU law. The e-cigarettes deliver an experience that is same as standard cigarettes. By heating liquid nicotine in a disposable cartridge and generating a vapor, e-cigs provide a superior feeling. In the UK, there is no sign of a ban on e-cigs even though France is considering a ban on using e-cigarettes in public areas. The Medicines and Healthcare Products Regulatory Agency in Britain has recently stated that it would regulate products like these to make sure that they are safe. Britain has been putting stress for an EU-wide law on regulating products that contain nicotine. It expects the adoption of legislation in 2014 and to go into effect in Britain in 2016. The agency has stated that it will need manufacturers to reveal info on quality of product and how they stand in juxtaposition with those manufactured by competitors. Given the newness of the product, there is a lot of speculation and talk about the legality of electronic cigarettes. So classifying the product as a medicine is bound to raise many question marks in the minds of manufacturers and legal experts. All that can be done right now is observing how everything pans out. There are a wide range of benefits that make e-cigarettes a great choice for smokers. We get the question quite often, "do electronic cigarettes work?" 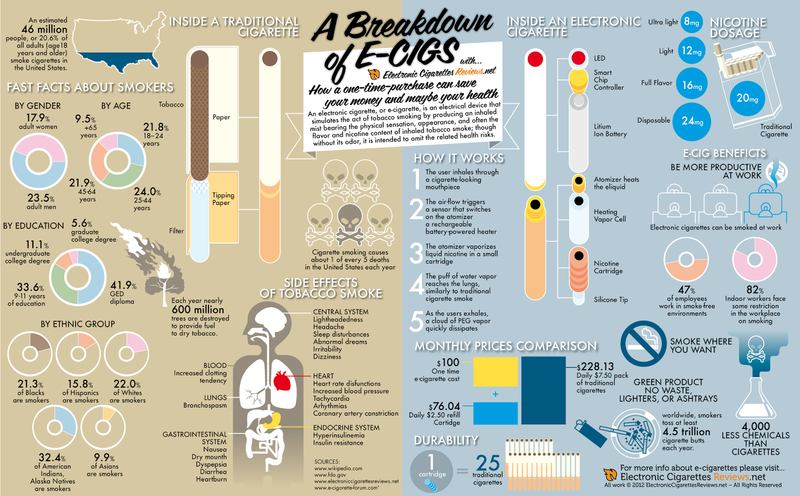 Well, today we bring you an infographic on The Breakdown of E-Cigs which gives you facts and stats to help you make that decision. An estimated 46 million people smoke cigarettes in the United States but the numbers are now starting to drop. More and more people are trying electronic cigarettes. 1 electronic cigarette cartridge is equal to 25 cigarettes saving the user hundreds of dollars each year. According to the Infographic there are 4,000 less chemicals in e-cigs and it's intended to omit the related health risks associated with traditional smoking. 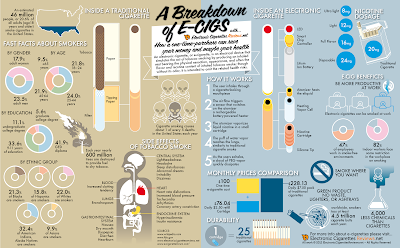 Todays infographic is brought to us by Electronic Cigarette Reviews and really gives us great comparison of e-cigs vs. traditional cigarettes. With a little more education, hopefully now you can better answer the question, "do electronic cigarettes work"? Electronic cigarettes stores are popping up everywhere and have become quite popular across the country. When it comes to the quality and reliability of electronic cigarettes, The eCiggy stands out. As one of the leading online suppliers of electronic cigarettes The eCiggy has time and time again impressed with its qualitative range of products. Ever since its inception the company has been providing top notch electronic cigarettes and has managed to establish itself as a trusted name in the market. From electronic cigarette starter kits, to refill cartridges, disposables and other related accessories, the company makes everything available on a single platform thus making it a convenient destination for buyers. The new generation electronic cigarette store offers e-cigs at wholesale prices. It is not only the superior quality of the products and reasonable pricing that makes The eCiggy the first choice of numerous customers but factors such as free shipping and great customer service. The eCiggy carries refills with different nicotine levels. Light smokers can opt for electronic cigarettes with low nicotine levels while heavy smokers have the choice to select from higher nicotine levels. 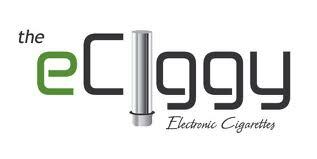 Theeciggy.com strives to become an electronic cigarettes store for people who are looking for quality electronic cigarettes. 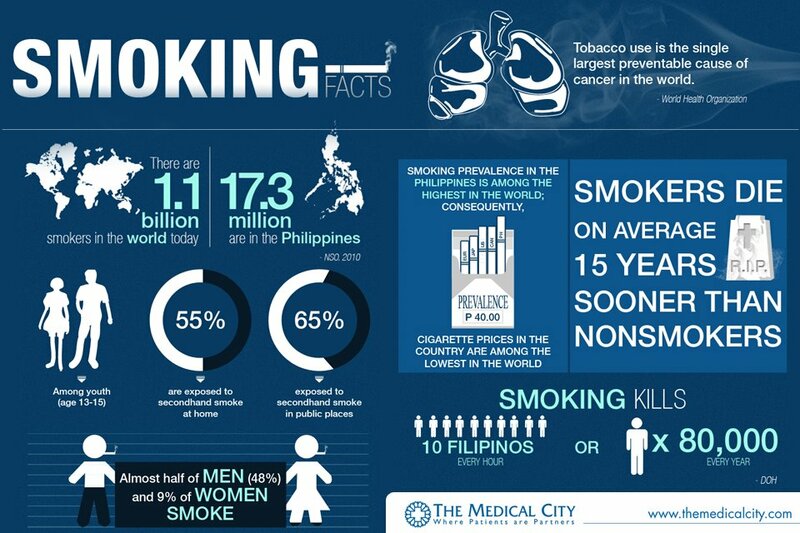 Today we bring you the infographic "Electronic Cigarette Statistics". 2.7% of U.S Adults have tried electronic cigarettes and a whopping 31% of those who tried e-cigs ended up quitting tobacco based cigarettes within a 3 month period. According to the infographic 45 million people smoke traditional tobacco cigarettes and currently there are 2.5 million people smoking electronic cigarettes and this number is rapidly increasing. e-cigarette sales are expected to reach one billion dollars in sales by the end of 2013. The infographic above titled "electronic cigarette statistics" is from CashSherpa.com and really gives us a great perspective of the rise of the e-cig. A key factor that you must take into consideration when purchasing an e-cig battery is its amperage. The highest attainable amperage is 1300mAh and the least is 180mAh. 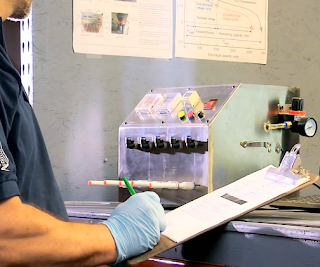 Batteries with high amperage can withstand for longer periods of time while the ones with low amperage run for short periods of time. So you should opt for a battery with high amperage in order to lower the frequency of charging it. Not all battery models are compatible with e-cigarette cartridges and atomizers. In any case, you should buy a battery that is compatible with your atomizer as well as cartridge. It is better that you carry the battery that you are currently using and buy the correct one. It is pivotal to be aware of the battery’s charge ability. Nowadays, a large number of people like to charge their electronic cigarettes while they are traveling. If you also do that, then it is best to opt for 12 DC charging and other back-ups. These allow you to charge the battery through your car charger socket or even your laptop. Like any other electronic device, e-cig batteries are susceptible to breakdown. Because of this, you must ensure to get maximum return on your money by getting hold of a battery that has been protected under manufacturer’s warranty. Batteries without warranties might seem luring because of the low cost but their functionality is equally deadpan. While buying a high quality product is definitely important, it is also equally crucial to preserve it afterwards. That is why you should work toward maintaining your battery and in turn avail superb benefits. Be sure to let the e-cig battery cool down after approximately 7 puffs and keep it away from magnetic items. If you wish to get the most from your electronic cigarette, then it is absolutely essential for you to keep the aforementioned points in mind.